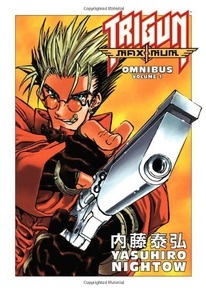 Vash the Stampede, the galaxy's deadliest gunslinger, emerges after two years in hiding to help his beleaguered desert homeworld, Gunsmoke. But the Stampede's many enemies have kept their motors, and they're back on his trail and determined to bring Vash to ground - hard! And a new crowd of bounty hunters, badasses, and brain-cases are also looking to cash in the astronomical price on his head! Collects volumes 1-3 in an omnibus edition.